In November of 2012, Shannon Adamson suffered life-threatening injuries when the passenger gangway she was standing on collapsed. She fell 18-feet and suffered a shattered pelvis and sacrum, fractures in her lower back, loss of sensation in her right leg, a broken ankle, wrist and ribs, two punctured lungs, a lacerated liver, and a traumatic brain injury. Adamson required extensive surgery after this horrific fall and long painful sessions with a physical therapist just to learn how to walk again. 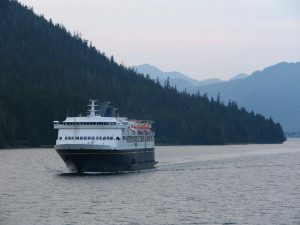 Court documents revealed that the Port of Bellingham was aware of a defect in the passenger gangway due to a similar accident that occurred in 2008. Engineering safety experts reported that the faulty system could have been resolved, but port authorities failed to install the recommended safety “limit switch”. The device would have cost the port less than $1000. In the 2016 federal court case, the jury found the Port of Bellingham negligent, and not Adamson or the State of Alaska. Adamson was an employee of the Alaska Marine Highway System, but the court ruled that the defective passenger gangway was owned by the port. On Thursday, April 11th, 2019 the Port of Bellingham lost an appeal when the Washington State Supreme Court agreed with the previous ruling: Commercial landowners are liable for injuries that occur on the property they are responsible for maintaining, even if a tenant has priority to use the property, concluding that the Port of Bellingham must pay a jury’s $16 million verdict to the injured ferry worker. 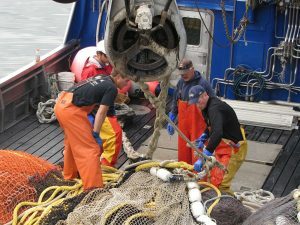 Watchstanders at the U.S. Coast Guard 17th District Command Center in Juneau received a call on Monday that a crew member aboard the F/V RESURRECTION was suffering from what appeared to be a heart attack. A medevac was requested request at about 9 p.m. 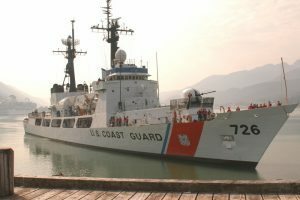 The 49-foot longline fishing vessel was located approximately 65 miles east of Kodiak when the call was made. 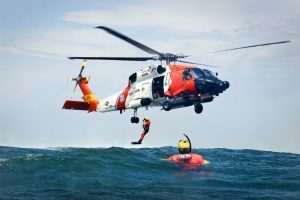 An MH-60 Jayhawk helicopter crew launched from Air Station Kodiak, and a rescue swimmer was lowered with a rescue basket, then hoisted the 38-year-old man to the helicopter. 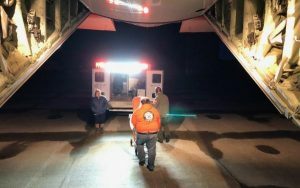 He was transported to Air Station Kodiak and placed in the care of EMS personnel, who transported him to Kodiak Providence Hospital. 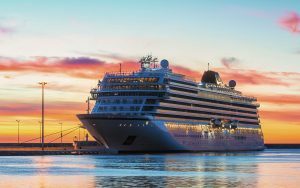 A maritime construction worker has been awarded $3.3 million after a Louisiana federal court judge ruled that the worker’s head and spinal injuries were due to a captain’s negligence. The case was covered by the Jones Act and the Longshore and Harbor Workers’ Compensation Act (LHWCA). Devin Barrios, a maritime construction worker, was transferring a portable generator from a boat to a barge when the accident occurred. Rather than secure the two vessels properly with mooring lines, the captain used engine power alone to hold the two vessels together during the transfer. The 22-year old was straddling the two vessels when they unexpectedly shifted. Barrios fell in the water, and the 150-pound generator tumbled down on top of him. He suffered a head injury with mild brain trauma that required 28 staples, and his spinal injuries required surgery. There is still the possibility of future surgery. Jones Act and LHWCA grant unique and special rights to maritime workers. The LHWCA provides rights for land-based workers who perform work on, for, and around vessels. Employers are required to provide compensation irrespective of fault for the accidental injury or death arising out of a covered worker’s employment. 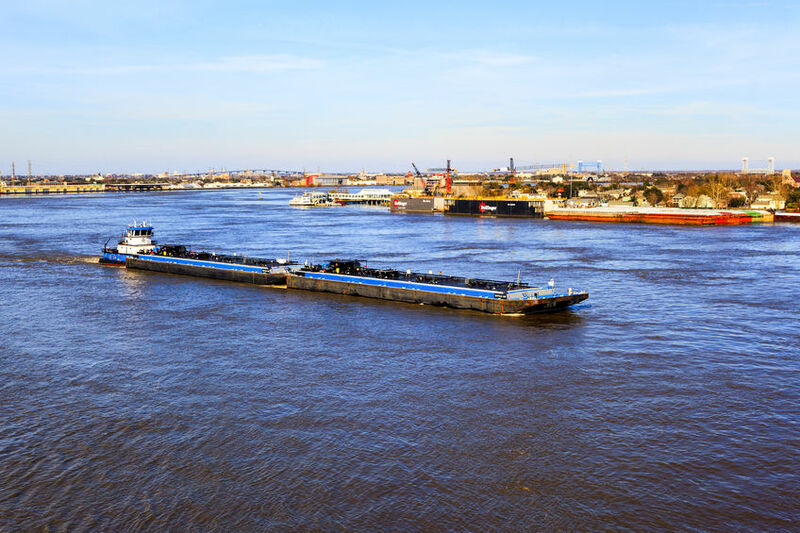 Under the Jones Act, an employer is required to provide crewmembers with a reasonably safe place to work and reasonable care to prevent injuries. Negligence is the failure to do something that a reasonably prudent person would do, or not do, under similar circumstances. In this case, the reasonable and prudent option would have been to use mooring lines during the transfer of equipment. In the event of an injury, the employer is obligated to provide maintenance and cure, regardless of fault or negligence. After a two-year investigation, the U.S. Coast Guard has released its findings regarding the devastating F/V DESTINATION accident that took the lives of all six crew members aboard the vessel. According to Captain Lee Boone, Chief of Coast Guard Investigations, “It just wasn’t one thing”. 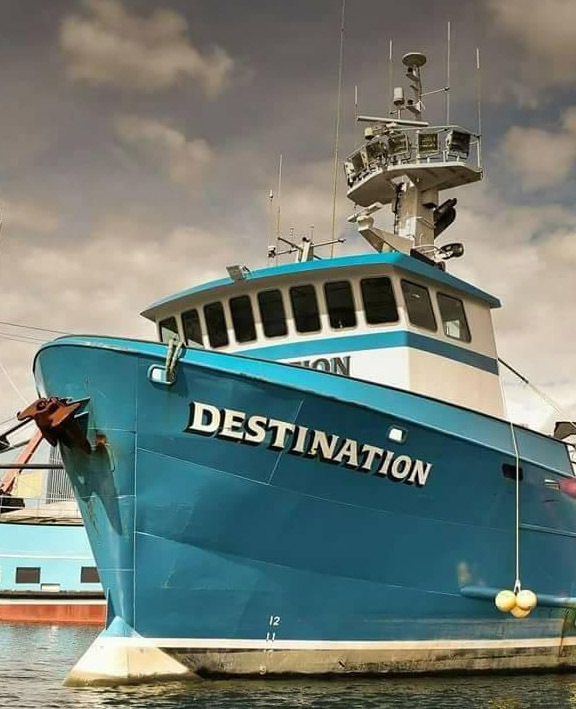 On February 11th, 2017, the crew of the Seattle-based crab boat, DESTINATION set off into the Bering Sea with a stability report that was more than 20 years old, an exhausted crew, and freezing spray and ice that overloaded the vessel. Once again, forward deployed assets were able to quickly and efficiently respond to a member of the maritime community in need of medical assistance. Alaska Maritime Physicians relayed the message to watchstanders at Coast Guard 17th District Command Center in Juneau, that a man aboard the F/V VAERDAL was suffering from chest pains. The duty flight surgeon was briefed and requested a helicopter crew. 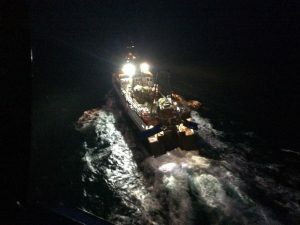 A forward deployed Coast Guard Air Station Kodiak MH-65 Dolphin helicopter crew, aboard the Coast Guard Cutter John Midgett, medevaced the man from the vessel, which was located approximately 70 miles north of Cold Bay. He was then transported to awaiting medical personnel. 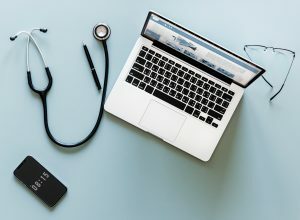 Telemedicine is the term we use to describe telecommunication and information technology that helps provide clinical health care from a distance. It is a crucial service for those who work at sea and has saved countless lives in emergency situations. In the past, radios and telephones were used to deliver information and messages. Now, via cell and satellite technology, physicians can use iPhones, iPads, photos, and video technology to diagnose and sometimes treat patients remotely.